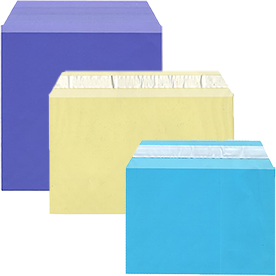 Protect your documents without hiding them with cellophane card covers and more! Our Cello Sleeves are made from water-resistant, tear-proof plastic so that any type of paper (from invitations to confidential work documents) will be safe and sound inside. Our cellophane envelopes are also USPS approved, so you can send these cross country with no trouble. Just make sure to use self-adhesive stamps with our plastic greeting card sleeves! Our Clear greeting card sleeves will certainly make sure that your recipients know exactly what they're getting instead of having them wait and see. In over 25 sizes, our clear cello sleeves will allow you to fit your content inside. From the smallest 2.375 x 3.6875 size that fits a business card to our largest 17.43745 x 22.25 that is perfect for that unique sized drawing. 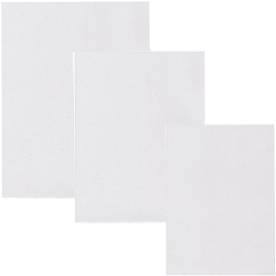 These packing list envelopes feature a self-adhesive closure sure to keep your documents secure inside. There's no need to worry about your documents falling out anymore! If you desire for an envelope without a closure, we have Clear Cello Sleeves with No Flap too! This way, you can easily take out your items. And when you want a pop of color but still want a little transparency, try our Color Cello Sleeves. In over five sizes and twenty colors and designs, you'll find the one that speaks to your occasion. From Lace to Marble to solid, your envelopes just got a little spicier! 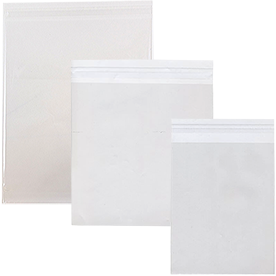 So shop cellophane card covers for that much needed protection today!